...this? How does that work? Who is this? Is it Peach? 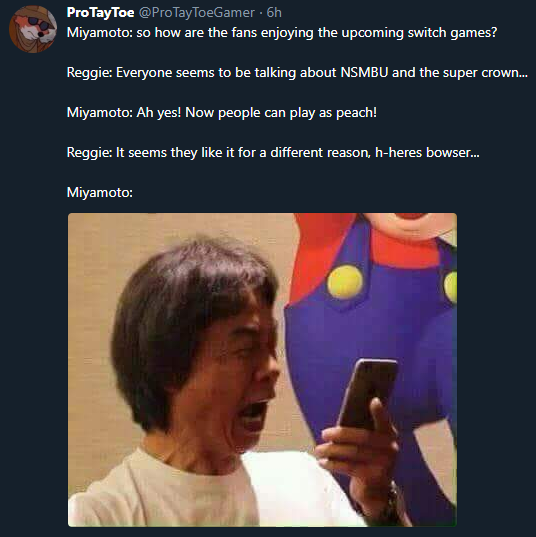 Is it Toadette? Both? Neither? 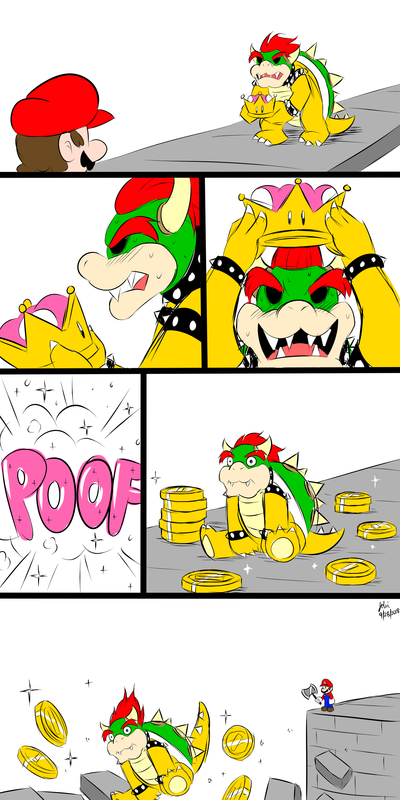 Is this why the Mushroom Kingdom has a human ruler? Does the kingdom function like a bee colony, and that when the old monarch dies, a specially-selected Toadette is fed royal jelly so she can evolve into an oversized queen and rule the hive? 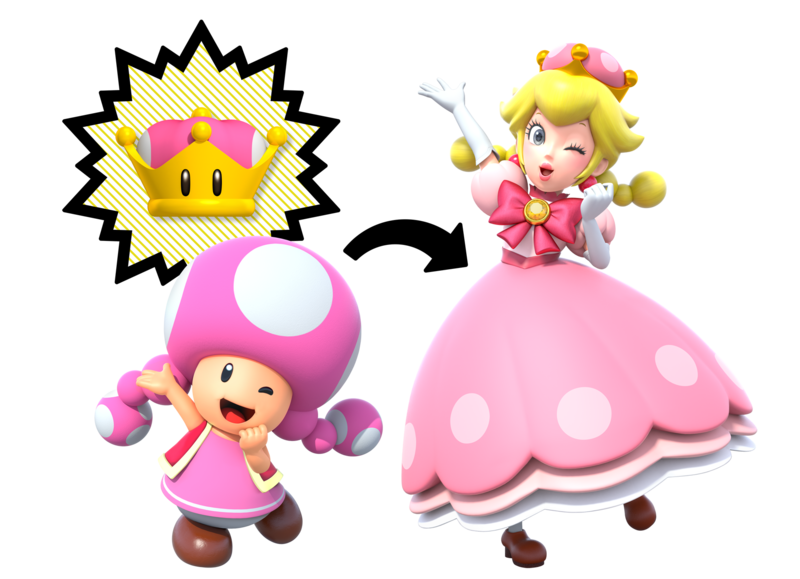 Does this mean Peach has mothered every Toad in the kingdom? Nintendo, I am alarmed and confused. I’m glad that more people will get to play NSMBU, that game is fantastic. I probably won’t be in the market to buy it myself, though. You all can stop now.